SuperSport will once again be airing eSports on TV. 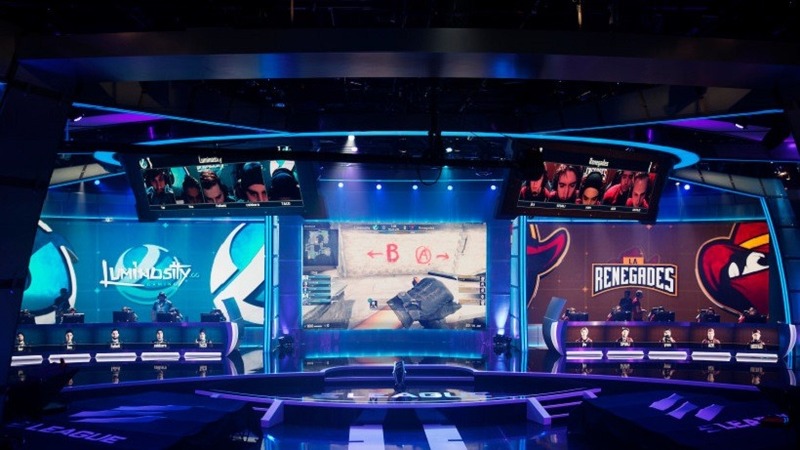 Yesterday the sports broadcasting giant announced they would air the Turner ELEAGUE finals on Channel SuperSport 6 for the upcoming months, a deal made available to them by Sky Sports. The general consensus behind SuperSports’ choice to show eSports was varied, and quite frankly the times of the broadcasts don’t make for easy viewing, being at 4:00AM in the morning. 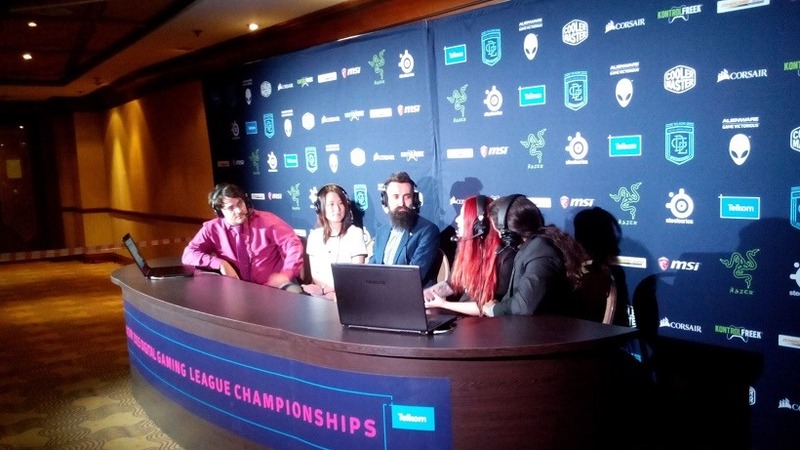 However, this sparked some interesting discussions among some circles in South Africa, and the most interesting being whether local eSports will inevitably makes its way into the broadcast studio. Eventually this could be the case, but at the moment we’re still a few years behind our favourite international broadcasters, but the gap is closing. 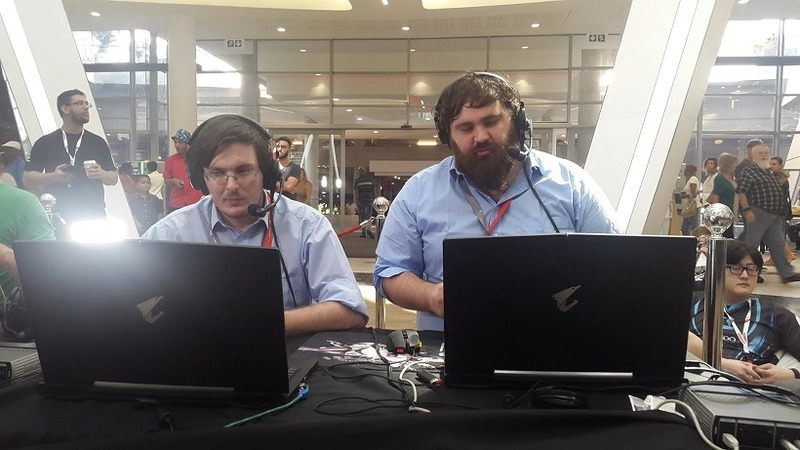 There are a number of reasons why South African broadcasters are not ready, and the aim of this article is not to make excuses, but rather create some understanding of what goes on during tournaments and live broadcasts for our local tournaments. A number of our local broadcasters took up the job as a hobby, and many of them choose to do it in their spare time. A large majority of them do not have the time to cover nearly as much action as they’d hope to, and that leaves very little time to perfect their game knowledge and put much needed practice in the areas which need development. Ideally shoutcasters should be putting in close to equal time as players if we want to be at the same level. Soon when tournament broadcasts become more frequent, the need to practice individually is replaced by continuous broadcasts which aid development. Learning from your mistakes, while trying at best to avoid them, is a crucial part of every broadcast, and at the moment a large majority of local shoutcasters do not have the time to review a three hour broadcast and rely solely on feedback. Feedback is dangerous at times since they’re often compared to their international counterparts which leave them at a somewhat disadvantage since those grass root developments have already been taken care of. This falls on the shoulders of almost every entity involved in any tournament. While you may consider the above point that many casters don’t have time, the same applies to players who need to complete matches at their own expense. Many of our players and tournament hosts also do this part time, and this makes organizing, advertising, and proper marketing extremely difficult as many of the tournaments rely on the players to set up times for the matches, leaving very little time to properly build an audience for a specific game. For example, many hosts are told several hours before a game goes live simply because the players had decided that day that they will complete their match. Several hours is not enough time to properly hype up, or even market a big game, which brings in a less than favourable number of viewers. This is essentially nobody’s fault or intentional, but rather one of short comings of a developing eSports scene. The solution would be dedicating time slots for big matches with ample time to market and advertise the match and ensure broadcasters are ready to go live once the players are in-game. Broadcasting equipment is extremely expensive. A decent microphone and mixer will set you back close to R10 000, which is far out of the budget of any person interested in trying this out. You may find some headsets have decent mics, but to properly produce a great broadcast, you do need to have at least decent equipment. There are a number of USB Microphones out there, like my Samson C3U0, but these are just for the initial stages of broadcasting. When it comes to live broadcasting at an event, or in a makeshift studio, the proper equipment can cost you upwards of R100 000, or even as high as R500 000. Proper audio and visual mixers, sound engineers, cameras, the whole lot, is almost out of every single persons budget. There are a number of companies out there who have begun to invest in this equipment, but again it makes a dent in any budget as transport and care of this equipment is scary. There’s also the obvious need for a computer powerful enough to offer a decent production. These computers can cost anywhere between the ranges of R30 000 to R100 000, and these are the PCs which are compatible with streaming software, post production rendering, and having the hardware which matches the needs of some broadcasting equipment, such as audio visual desks. This is why we see the more “amateur” broadcasts being done in South Africa since it’s usually two guys in front of PC with microphones, a camera, and xsplit. Let’s not forget the personnel costs. Having a production team is crucial to any professional broadcast. Major sporting broadcasts have writers, producers, camera men, sound technicians, video technicians, and more. This is, at the moment, far from our reach, but is a possibility for the future. These costs may have been inflated, but remember, we’re comparing our scenarios to that of professional broadcasts we see daily on the international stage. At the moment a large number of brands and hosts do not see the value in broadcasting in South Africa since, and let’s face it, we’re not exactly pulling in thousands of viewers without the aid of CS:GO or Dota 2 Lounge. Seeking out the proper talent, and compensating them for their work, is often overlooked by many small hosts out there. What they forget is that a large number of the broadcasters who are capable of doing a great job would rather come to some agreement over compensation, rather than see a subpar broadcast further bring the standard down. This has been the case on many occasions, and it’s actually damaging to the local scene and an insult to anyone who puts in a ton of effort to get to the top of their game. It’s true, anyone can pick up a microphone and talk about a game, and a lot of people are doing it, but you have to see it as an investment when you invite someone who knows what they’re doing to come and cover your tournament. To give an example: Tournamnt Host A is looking to get their tiny online or LAN comp covered. They seek help from Organization B, and are not willing to come to any agreement over compensation. Joe Soap from Tournament A recalls John Doe posting on Facebook about wanting to shoutcast, and he lives in the area, so why not just ask him to come broadcast? John Doe arrives with his R50 headset and offers a subpar broadcast, and those who spectated now assume this is the standard of local broadcasting in South Africa. This has happened before, and it will continue to happen, and it’s ruining the scene. Sure, with some proper equipment and training John Doe could be a great broadcaster, but that’s not up for discussion in this circumstance. While the value of shoutcasters right now may be small, in the future these are the guys who are going to bring in the numbers to promote your brand and tournament. They are one of the most essential parts of eSports, and while we may be focusing on the players right now and making sure they have enough tournaments to compete in, we also need to focus on the exposure which you gain by bringing in broadcasters. We all need to work together if we want any future for broadcasting in South Africa. In the next few years there will come a time where the above considerations will become irrelevant as major studios, like SuperSport, hire their own broadcasters and offer a professional show. However, at the moment there should be a level of understanding of what goes on behind the scenes and that this is, in fact, not an easy job for many. There’s also the dark side of broadcasting with regard to feuds, egos, and hierarchy, but that’s a story for another day.